The EU has promised to work with British prime minister Theresa May to avoid a no-deal Brexit next month, and to try to find a way to deal with the Irish border issue in a way that allows May to push the withdrawal agreement through the UK parliament. 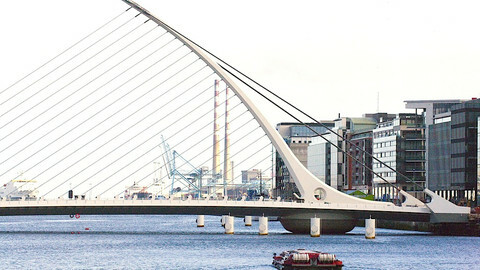 Visiting Brussels on Thursday (7 February), May once again argued to EU commission Jean-Claude Juncker to open up the withdrawal agreement over the issue of the Irish backstop, that she negotiated last year but her parliament rejected in a crushing vote. Juncker once again told May that the withdrawal agreement reached last November is not renegotiable, and again offered to deal with outstanding issues in the political declaration on the future relationship, attached to the Brexit deal. EU and UK negotiators will meet next week to see "whether a way through can be found" to clinch the broadest possible majority in the UK parliament and respecting the EU-27's position, a joint statement after the meeting said. EU chief negotiator Michel Barnier and the UK's new Brexit secretary Stephen Barclay are expected to meet next Monday in Strasbourg and their teams will continue working on a possible solution to the deadlock, with the Brexit date only 50 days away. Juncker and May agreed to meet again at the end of February, meanwhile. 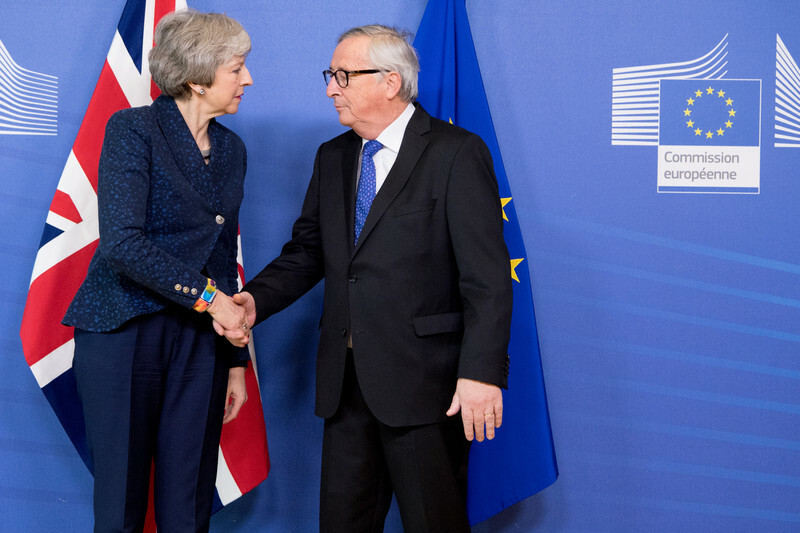 The statement described the meeting between Juncker and May, that started out with a cool handshake at the commission's Berlaymont headquarters, as "robust, but constructive", diplomatic code for heated and tough. Brexit has been locked in a stalemate ever since British lawmakers last month overwhelmingly rejected the Brexit deal negotiated by EU and UK officials over the previous 18 months. Hard-Brexit Conservative MPs reject the so-called backstop, aimed at keeping the border open on the island of Ireland even if the two sides cannot agree on a new trade deal before December 2020. The EU side has repeatedly said it does not believe any technology solution is available to keep the new EU/UK border open. The free-trade Brexiteers, meanwhile, are worried that the backstop, which keeps the UK in the EU's customs union, could trap Britain tied to the bloc indefinitely, a fear the EU has insisted is unfounded. 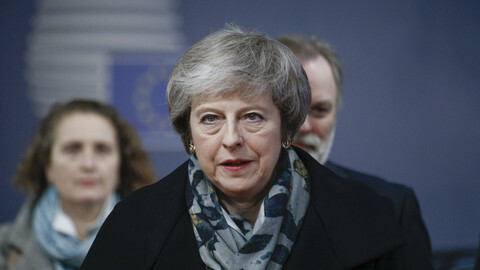 May sought to renegotiate the deal over the backstop, while the EU, which has insisted that the deal cannot be reopened, have been growing frustrated with the British premier's failure to muster majority support in parliament for the deal her negotiators struck. 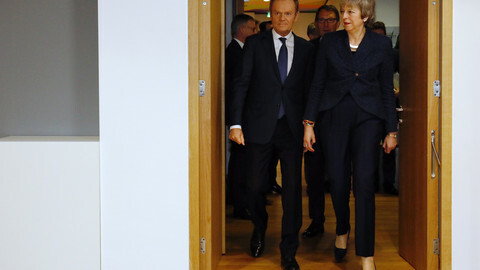 Nothing on substance has changed on that after May's Thursday visit, as renegotiation is still off the table, but the EU's openness will enable May to show in London, she can possibly achieve more with the EU-27. May will return to the House of Commons on 14 February for a Brexit debate, but lawmakers will only try to vote again on the deal later in the month. 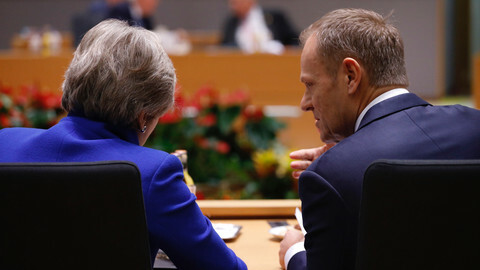 EU council chief Donald Tusk, who a day before the visit envisaged a "special place in hell" for those who campaigned for Brexit without a proper plan, also met with May on Thursday. "Still no breakthrough in sight. 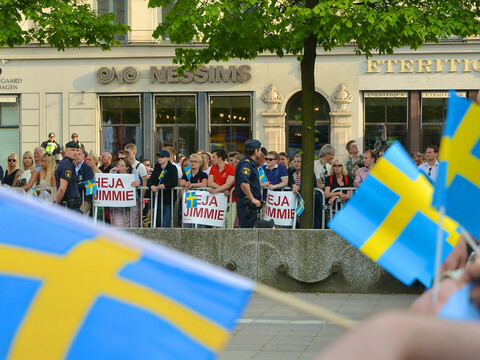 Talks will continue," Tusk merely tweeted later. The European Parliament's Brexit coordinator Guy Verhofstadt hinted after meeting with May that the EU could see the political declaration become more legally-binding. "If there are problems with this backstop our proposal is to try and solve them in the political declaration. 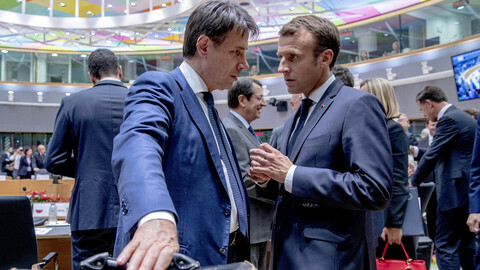 We're open to upgrade the political declaration to make it more binding, more precise," the Belgian MEP said, who added that May said she did not want to remove the backstop from the deal. Offering to have a closer relationship with the EU in the political declaration to please enough Labour MPs to vote for the deal with May could be one possible way out of the conundrum, repeatedly on offer by the EU. In a letter to May, Labour leader Jeremy Corbyn on Wednesday set out five conditions for Labour to support a deal, including a "permanent and comprehensive" customs union with the EU, which so far May has ruled out because of her hardline backbench MPs. Unless the UK parliament approves a deal, Britain is on course to leave the EU on March 29 without the envisaged two-year transition period in place, a scenario that many businesses say would be catastrophic. "We are very concerned. We're weeks from an economic and human catastrophe. This is the reality of a no-deal Brexit. It would be a very dangerous solution," European Parliament president Antonio Tajani said after meeting May. May insisted she can get the "legally-binding changes" to the Brexit deal that parliament wants. "I am going to deliver Brexit, I'm going to deliver it on time," May told journalists before leaving Brussels. 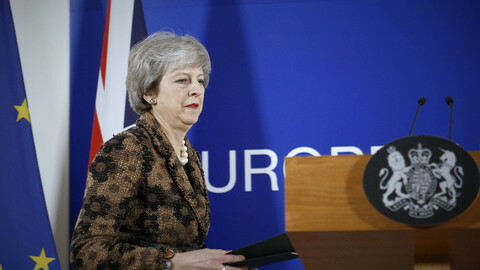 EU council chief Donald Tusk said he wondered if there is a 'special place in hell for those who promoted Brexit without a plan', as Brussels expects British PM Theresa May to arrive on Thursday - without a plan. EU and UK negotiators reopen Brexit talks as the clock tics to March. Italy's populist prime minister also shares his vision of the EU with MEPs.